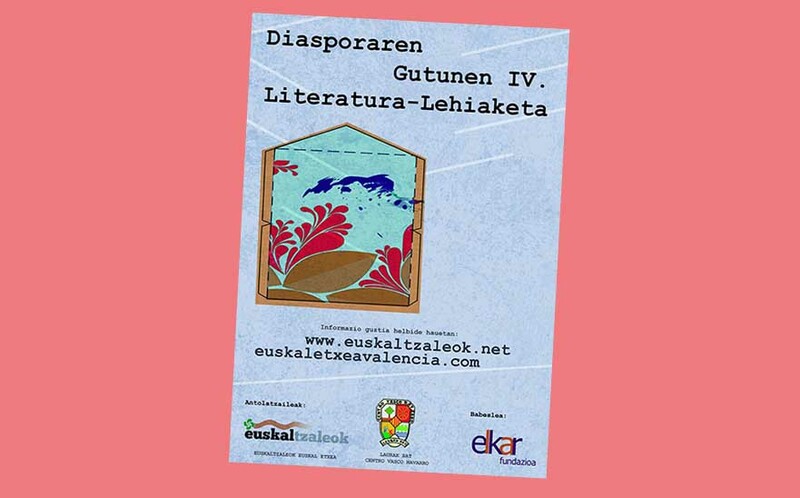 This contest aims to support and stimulate the use of Euskera in the heart of the Basque clubs and communities, organized by the Euskaltzaleok and Laurak Bat Basque Clubs in Valencia, in two categories: those who are studing Basque and native or fluent speakers. The originals should be sent via email by January 20th. The maximum length of the letters shall be two (2) pages spacing set at 1.5, Arial font and size 12 single-sided. The literary genre should be the epistolary and free theme. The contest is organized into two categories: A - people who are learning the Basque language; B native speakers or people who communicate normally in Basque. Complete contest rules here sent by the organizers.